Commercial Drain Repair, FishHawk, FL | A Step Above Plumbing Inc. Commercial Drain Repair, FishHawk, FL | A Step Above Plumbing Inc. Whenever we work on commercial drain repair projects in FishHawk, FL, we are committed to exceeding customer expectations. 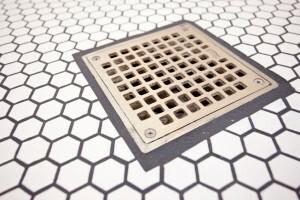 The drains that run throughout your building are used on a daily basis. As time passes, this constant usage can lead to cracks, clogs, and leaks that require immediate attention to prevent serious damage to your pipes and your property as a whole. Fortunately, you have us at A Step Above Plumbing Inc. to take care of all of your commercial drain repair problems. We are proud members of the local business community in FishHawk, Florida and are committed to ensuring that everything at your business’ location runs smoothly. Whenever we work on commercial drain repair projects, we are committed to exceeding customer expectations and to making sure things are done right the first time. We realize that when there’s a problem with your business’ drains, you might have a hard time keeping your doors open and your operations up and running. In order to ensure that profit loss is minimal, we will make sure that the commercial drain repair process is handled efficiently. We are able to do so thanks to our extensive experience, which has allowed us to work on many types of commercial drain projects. Remember, the longer you wait to get your location’s drain problem taken care of, the worse the issue will become. 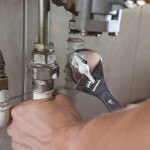 Don’t put off the commercial drain repair process any longer and give us a call at A Step Above Plumbing Inc. today. We look forward to forming a partnership with you and to meeting your company’s plumbing repair needs now and in the future.